Relevant article selected from the GR archive, first published on GR in October 2015. The world’s refugee crisis in the 20th century started with Israel’s ethnic cleansing of the indigenous Palestinian population in both 1948 and in the 1967 “Six Day War”. 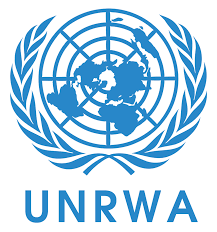 Given Israel’s continued ethnic cleansing of the indigenous Palestinian population and the UN’s responsibility for partitioning Palestine, the UN General Assembly mandated the UNRWA (The United Nations Relief and Works Agency) in 1949 to provide both relief and public works for Palestinian refugees. After the 1967 war, Israel took over the West Bank, East Jerusalem and Gaza, territories that had been held in trust for Palestinians by Jordan and Egypt respectively. The world community recognized the Israeli take-over of these territories as a hostile military occupation, which put Israel under the governance of the Fourth Geneva Convention, which makes the well-being of civilians under any military occupation the contractual legal responsibility of the Occupying Power. Virtually the entire world community — almost 200 nations, including Israel — have signed this Convention, which obligates them, in turn, to ensure that any Occupying Power is held responsible for gross violation of the statutes — by definition, war crimes and crimes against humanity. The Convention protects civilians living under military occupation in many ways, including: they are to be treated with respect personally, their properties are not to be violated (“except for ‘military necessity'”), they are not to be brutalized, deported or killed, and the Occupying Power is to ensure that they have access to adequate food, water, medical care and educational/employment access. Given Israel’s continued ethnic cleansing of the Palestinian population, it was clear that the world community, through the UNRWA, had to continue supporting those Palestinians who Israel now had the obligation to look after. The UNRWA today provides assistance to 5.2 million Palestinian refugees throughout the Middle East: in Syria, Jordan, Lebanon, the West Bank, and the Gaza Strip. It provides health care, education, social services, emergency aid and infrastructure support with a budget of 1.4 billion. UNRWA’s assistance to Gaza’s 1.28 million refugees is one quarter of the regional total; it provides about 14% of Gaza’s GDP and is the only source of stability in the besieged territory. The situation in occupied Gaza is particularly troubling; Israel’s attacks have left it on the brink of economic and humanitarian collapse. Gaza is not only starting the 10th year of Israel’s brutal blockade (the siege of the notorious Warsaw Ghetto only lasted 2 years), but Israel’s continued attacks on Gaza have meant that no one invests in Gaza. Gaza’s unemployment is the highest in the world; 40% of Gazans live beneath the poverty line. Over 90% of Gaza’s water is unfit for human consumption (Israeli actions salinate Gaza’s aquifer and Israel has turned away water purifiers for Gaza), there is little electricity because of Israeli attacks on the power plant and the withholding of fuel, and a functioning sewage treatment system no longer exists, fouling the Mediterranean Sea as well as Gaza tap water. Israel, which has the legal obligation to provide for Gazans, has not only washed it hands of its obligations, but it continues to destroy Gaza’s environment and the lives of its inhabitants. A UN report claimed that by 2020, the Gaza Strip would be uninhabitable. Gaza’s one resource, an immense gas field, has been taken over by Israel. In 2015, the UNRWA was unable to meet its financial obligations for reasons including an increasing number of refugees to care for, decreasing funding (partly due to an unfortunate Euro exchange rate), and Israel’s hobbling the UNRWA with $7.5 million in extra delivery costs to Gaza. In order to reduce costs, the UNRWA has had to reduce funding to 20,000 refugee families in Gaza as well as Palestinian refugees from Syria. It will be cutting back on educational costs by delaying the opening of 700 schools and increasing the size of classes to 50. The cutbacks will affect 500,000 children, half of whom are in the Gaza Strip. It noted that if it did not solve its problems by October, it would be unable to pay staff salaries, which would leave over 76,000 Gazans without any source of income. Canada has figured largely in UNRWA’s deficit. In 2007 and 2008, Canada contributed $28 million per year, divided between the General Fund and the Emergency Appeal. In 2009, this was reduced to $19 million for the Emergency Appeal alone; in 2010, 2011 and 2012, $15 million/year for the Emergency Appeal. Canada has refused to contribute since 2013 (reportedly contributing the funds instead to Israel’s security), leaving the UNRWA with a cumulative deficit of $132 million — most of which would have been used to feed the impoverished in Gaza. While the world community — in particular, those causing the refugees — should be taking responsibility for the costs, humanitarian aid should not be regarded as a permanent solution to the refugee problem; it is unconscionable that some refugee camps are over 65 years old. Refugees must ultimately be resettled, and those legally responsible for the problem should be motivated to find a solution. Israel should be encouraged to solve the Palestinian refugees’ situation because of its legal and moral responsibilities; the world community should not be on the hook forever for Israel’s obligations. There must be an acceptable end to the years of Palestinian suffering. If Israel were forced to pay the full UNRWA costs of keeping Palestinians caged in Gaza and in West Bank refugee camps — plus its other obligations to the Palestinians under international humanitarian law — it would have a huge incentive to find an acceptable solution with them. It would be win-win for the world community. This will only happen once the world community decides to make Israel responsible for its obligations. The UN could lay sanctions on Israel, or countries could call for severe boycott and divestment; alternatively, Israeli assets could be expropriated until Israel’s obligations to the Palestinians were met. In the mean time, a Canadian change of government should hopefully restore UNRWA funding.